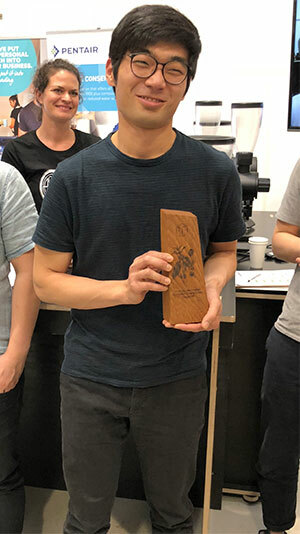 Juwon Jung of Mikro Coffee Roasters in Torquay, Victoria, has won the Australian Specialty Coffee Association (ASCA) Southern Region Cup Tasters Championship, held at Criteria Coffee in Victoria from 13 to 14 October. “It’s exciting [to win] but a little bit scary too,” Juwon says. Little Rogue’s MJ Kim and Chanjoo Kim placed second and third respectively. This was Juwon’s second attempt at the Southern Region Cup Tasters Championship title, having placed third in the competition last year. Competitors in Cup Tasters competitions must pick out the odd coffees from eight sets of three cups. The winner is the taster who picks out the greatest number of correct coffees in the shortest amount of time. All three Southern Region finalists scored a perfect eight out of eight cups. Juwon completed his tasting in two minutes and 10 seconds, less than half the time taken by runner-up MJ, who took four minutes and 44 seconds. Chanjoo took six minutes and 30 seconds. For his cup tasting run, Juwon began tasting from the middle. To prepare, Juwon says he had to train his other senses as well as taste. “When I first competed, I thought it was all about the tasting but I’ve realised I needed to recognise the aroma as well,” Juwon says. 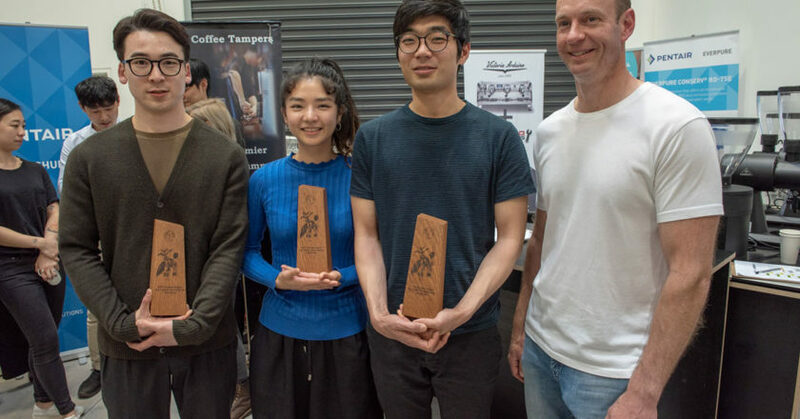 Juwon says he has a few other tricks up his sleeve, but won’t be revealing them ahead of the 2019 ASCA Australian Coffee Championships, taking place at the Melbourne International Coffee Expo from 7 to 9 February. Juwon would try to practice at least three times a day, even four times if he had the time. He thanks his wife, Mihan, who he says supported him every step of the way. The Quality Control and Roaster at Mikro says he’d also like to compete in Roasting Championships and the Brewers Cup down the line.